How is the BR3 property market performing? We recently secured a very long tenancy of 28 months on Downs Road! We recently secured a very long tenancy of 18 months on Clive Road! We exceeded our Landlords expectations when we recently let Truslove Road for more than its asking price! We helped the landlord of Crown Hill to avoid a void period and leaving the place empty by securing a tenancy as soon as the property was available! 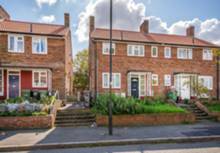 We helped the landlord of Sturdy Road to avoid a void period and leaving the place empty by securing a tenancy as soon as the property was available! We helped the landlord of Choumert Road to avoid a void period and leaving the place empty by securing a tenancy as soon as the property was available!